One of the most important developments in the media technology industry right now is the transition from SDI to IP for live, uncompressed, video production. 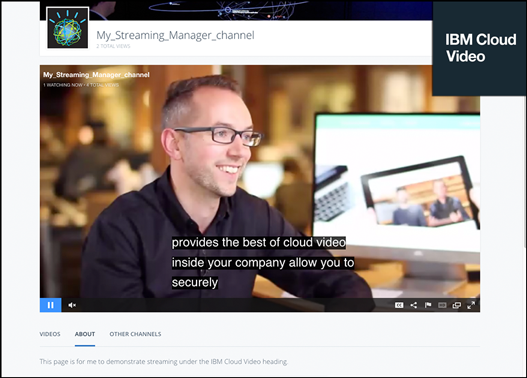 Attention IBM Cloud Video / Ustream users - Need captions for your live stream but don't have a caption encoder onsite? 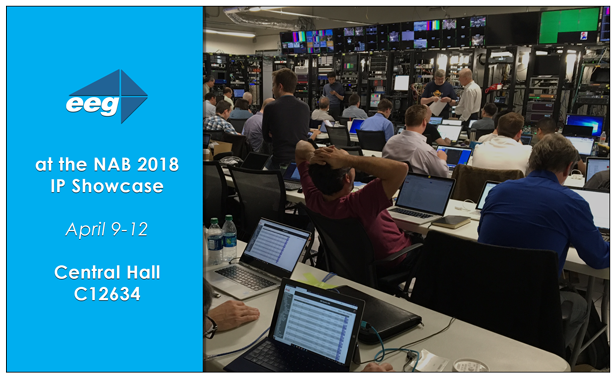 This support article offers a play by play for using EEG Falcon in tandem with IBM Cloud Video to source and encode captions to your live stream. 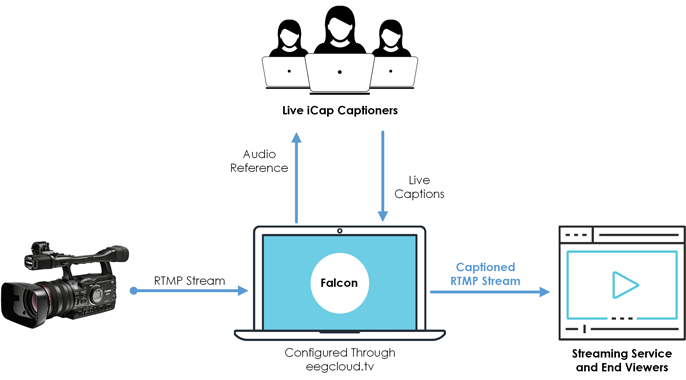 Content providers can now uplink their full stream directly to the Falcon servers on eegcloud.tv, and captions from any iCap captioner will be embedded directly into the video stream. The fully captioned video stream is then passed directly into the ingest URL for the customer’s video platform of choice where it can be accessed by viewers. Here we highlight the common customer network security concerns we’ve designed our tried and true iCap technology around.